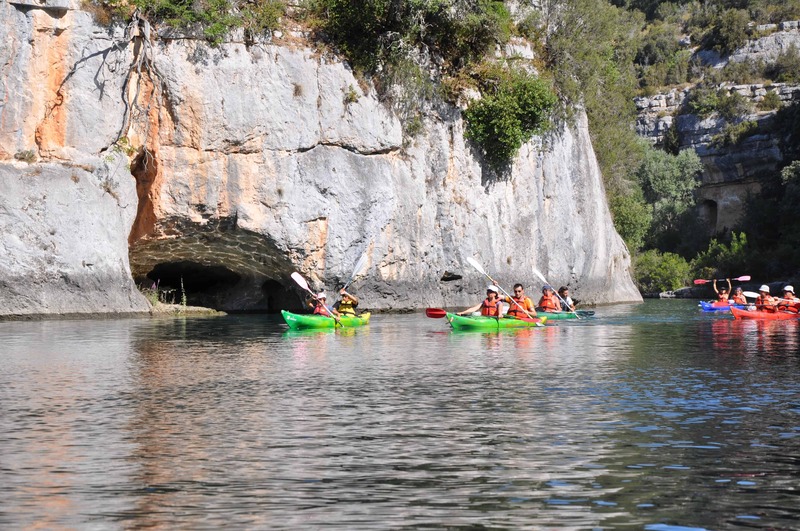 Come and enjoy an unforgettable guided kayaking experience for the whole family or with friends in the Verdon gorges. 2 ½ to 3 hours trip option: 25 € /pers. 4 to 4 ½ hours trip option : 35 € /pers. 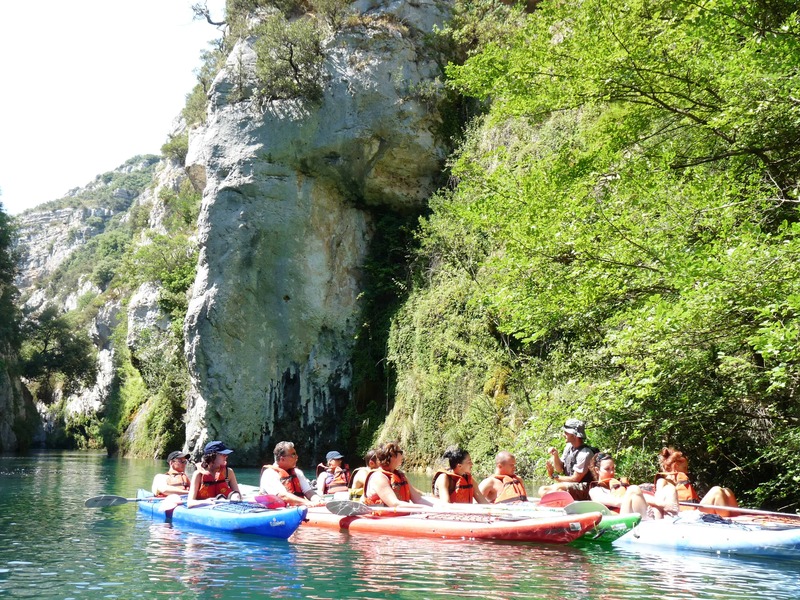 Whatever your level of canoeing or kayaking ability, whether you’re an absolute beginner or an experienced paddler, you can come and have fun on your own, with friends or with the whole family. 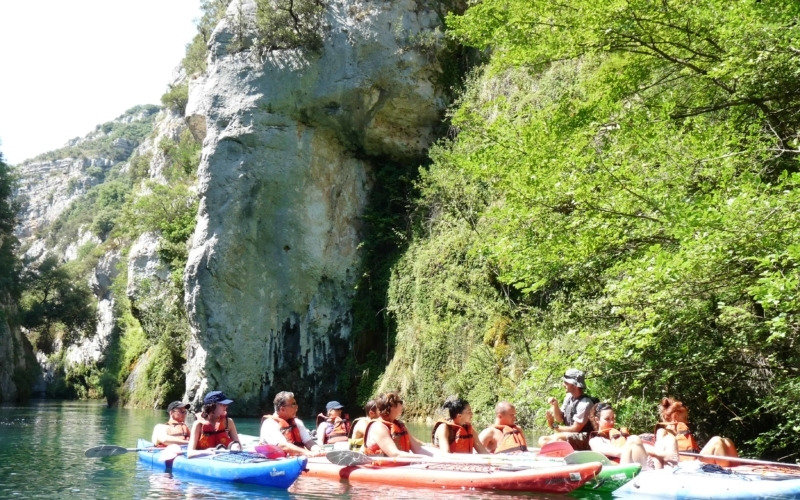 The guided trip is suitable for children aged 4 or more within a group of 10 to 15 people. 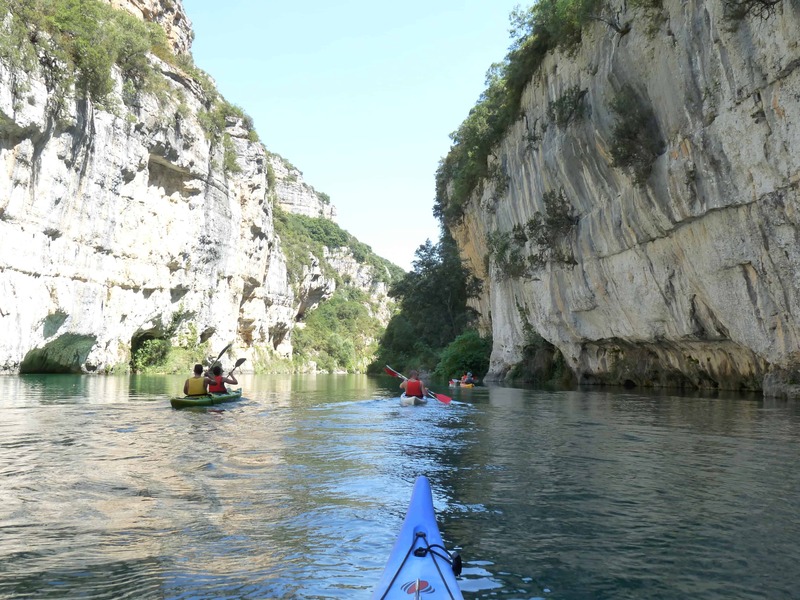 After meeting your instructor, you will be fit with your equipment and provided with a full safety briefing and explanation in the use of the equipment before going onto the water. 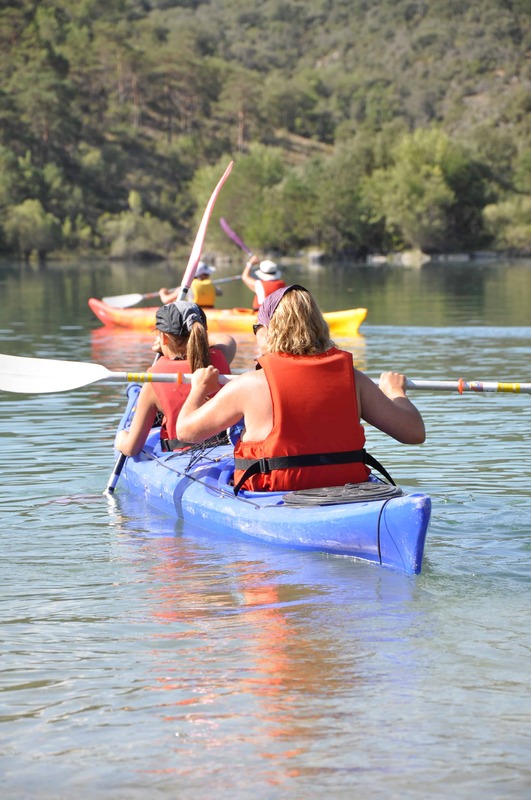 You will then board a very stable recreational designed for tuition double kayak. 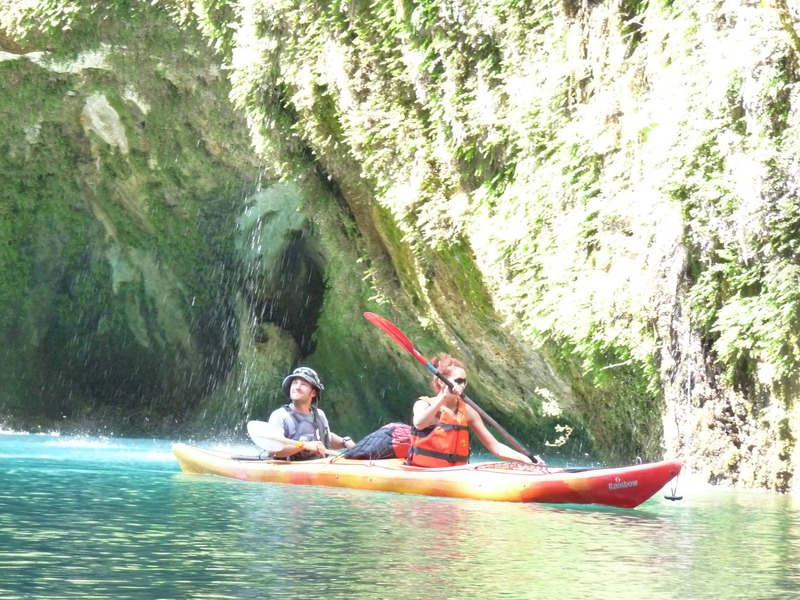 Your trained instructor will teach you how to safely control the boat so you can very quickly master the basics and enjoy a very quiet flat water guided trip that will connect you to the environmental friendly transportation used by some of our ancestors. 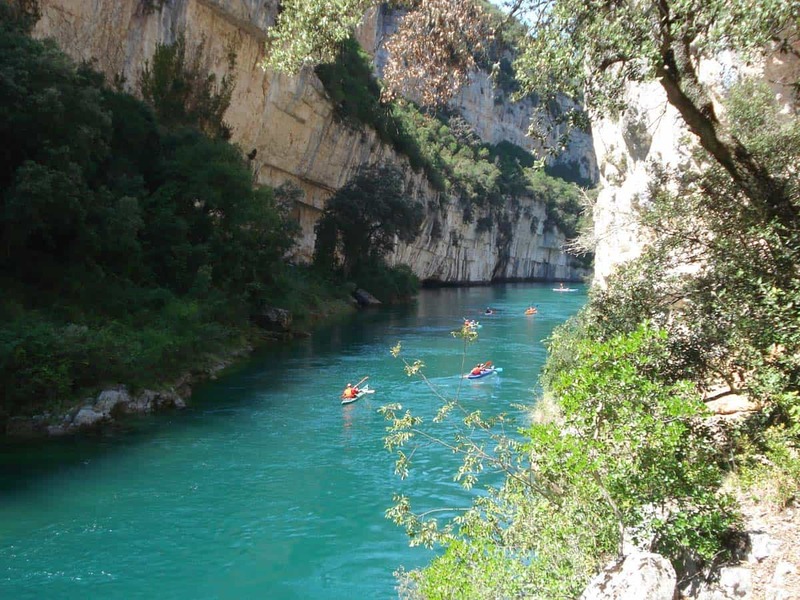 You will kayak along the river Verdon which winds its way along the Regional Natural Park of the Verdon. You will be able to admire plenty of magnificent scenery as you paddle through some beautiful protected wildlife reserves of the Gorges du Verdon in the heart of the Beaudinard Canyon located at the foot of a village named Montpezat. Gliding through the river is the only possible way to access the canyon and its spectacular limestone cliffs and caves that were carved by thousands of years of geologic forces. Why choose a guided tour ? 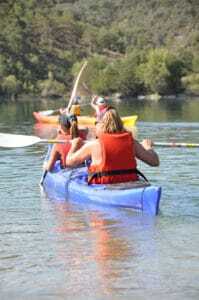 • professional paddling instruction on board a recreational canoe or kayak. • Passionate experienced naturalist guide ready to share their knowledge of the canyon’s wildlife and prehistoric heritage, enabling you to discover things you wouldn’t notice without them. Late morning departure with break for lunch along the way in a spirit of openness and conviviality among spectacular surroundings. Warning: the nautical base is not open permanently (except July and August). It is essential to contact us.